Mustard Seed Communities is a US-registered 501(c)(3) nonprofit organization that is dedicated to financial transparency and accountability to our generous supporters. 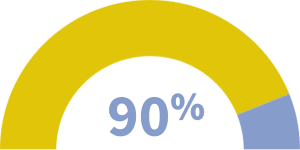 90% of donations received in 2017 went to programmatic costs and furthering our mission of caring for the most vulnerable members of society in the developing world. MSC has been given 4 stars by Charity Navigator, their highest rating, based on our financial health as a nonprofit organization and our honest and transparent financial practices. Please reach out to the MSC USA office (info-usa@mustardseed.com; 508-242-9622) if you would like more information or have questions regarding MSC's financial practices.